Does D&P not get it? 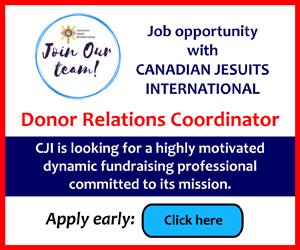 Is the Canadian Catholic Organization for Development and Peace (D&P) indisputably committed to the Gospel of life? Is the pro-life cause as important as, say, their campaign against bottled water? 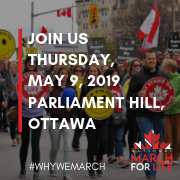 Recent events in Ottawa have brought into question D&P’s pro-life commitment, and therefore the prudence of contributing money to its annual Share Lent campaign. 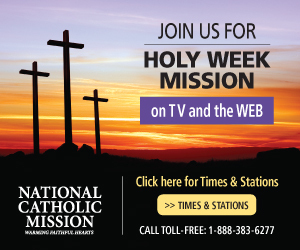 Its vision and mission statements say nothing about God, Jesus Christ, the Gospel, Christi- anity, evangelization, salvation or the proclamation of the kingdom. In its own self-presentation it is indistinguishable from a secular hu- manitarian organization, save for its official fundraising activities in Catholic dioceses. Two years ago, LifeSitenews.com — an agency that prides itself on being a watchdog for orthodoxy among Catholics, including bishops — reported that among D&P’s partners and alliances were groups that support abortion rights. Given that LifeSite is massively unpopular among many Catholic leaders, including bishops, its charges against D&P caused an enormous firestorm about the news agency’s tactics and professionalism. Yet the reports were sufficiently credible that a bishops’ fact-finding mission was dispatched to Mexico to assure Catholics that D&P was not undermining the Church’s pro-life witness. Acknowledging that “even acrimonious controversy can be fruitful,” Toronto Archbishop Thomas Collins looked into the matter himself and decided that no longer would monies raised in Toronto parishes be given to D&P to disburse at its own discretion. Such funds would only be given to projects in which the local bishop had given his approval. It was a clear indication of non-confidence in the leadership of D&P to take such decisions itself in full conformity with the Catholic faith and in harmony with the local Church. Nonetheless, as entrenched bureaucracies do, D&P moved along with no great evidence of significant change. Its defence was that it is pro-life but in working to bring about social change would sometimes collaborate with partners who also promoted abortion rights. Therein lies the fundamental problem. If D&P was deeply convinced that abortion is an “abominable crime,” to use the words of Vatican II, it would not consider pro-abortion agencies to be partners in the struggle for justice, which always begins with the right to life. One could ask D&P whether it would consider a bottled water company a suitable partner? Perhaps that would be beyond the pale. In early April, D&P had arranged for a Jesuit priest, Fr. Luis Arriaga from Mexico City, to give various talks in Ottawa. Fr. Arriaga is director of the Miguel Pro Centre for Human Rights — one of the very agencies that LifeSite had reported on two years ago. At the very least, the idea of bringing him to Canada indicated that D&P, despite the archbishop of Toronto’s call for a “comprehensive review” of policies two years ago, considered it to be business as usual. It wasn’t. The LifeSite watchdog barked again. And after his own personal consultation with Fr. Arriaga, Archbishop Terrence Prendergast of Ottawa cancelled his speaking engagements. “Since the (Miguel Pro) Centre’s support of groups in favour of abortion rights in Mexico is in- compatible with the Church’s defence of the right to life from conception to natural death and the mission of Development and Peace, and in order to remove any doubt about this commitment, the speaking engagements of Fr. Arriaga have been cancelled,” Archbishop Prendergast said. In response, D&P executive director Michael Casey released a most unworthy statement, obscuring rather than addressing the main point of the archbishop’s decision. Defiantly, it went on to defend the centre’s “outstanding work in defending the lives of the most vulnerable in Mexican society, including migrants, women and indigenous people.” The unborn notably did not make that list. If D&P continues to fund or collaborate with the Miguel Pro Centre and similar groups, even after Archbishop Prendergast’s intervention, it will be clear that D&P considers support for groups in favour of abortion rights to be consistent with its mission. In that case, the very Catholic identity of D&P, already greatly attenuated, would definitively be in jeopardy. Does the actual work of D&P advance the Gospel of Christ, including the Gospel of life? The answer should be clear. The events of the last week demonstrate that it is not.